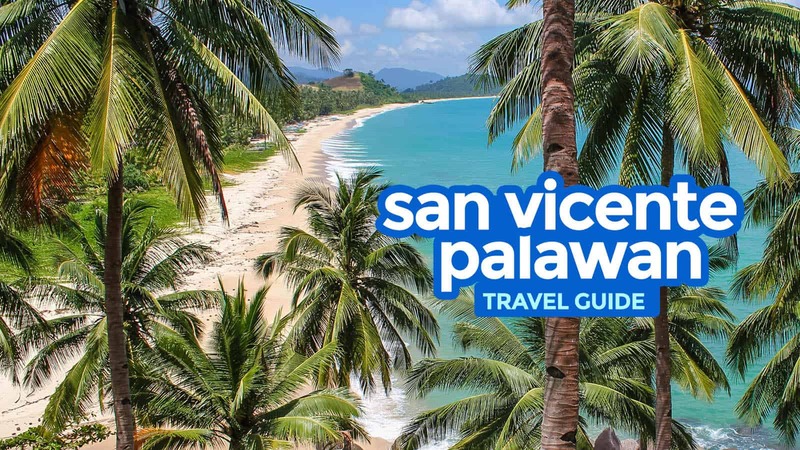 This San Vicente Palawan Travel Guide focuses on the Poblacion and the area along Long Beach. 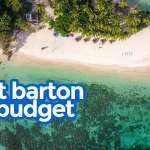 If you intend to visit Port Barton (a barangay in San Vicente 3 hours away from Poblacion), we have a separate post for that here: Port Barton Travel Guide. 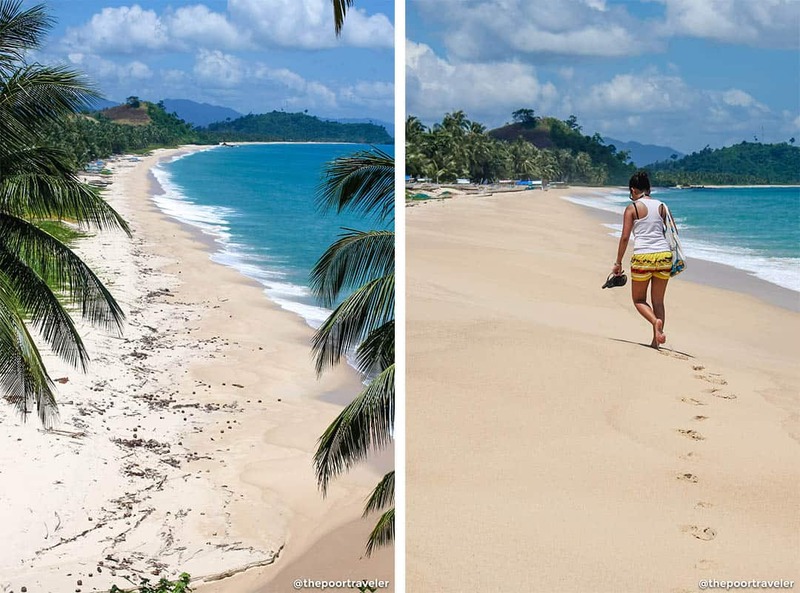 Touted by local tourism officials as the “longest white beach in the Philippines,” the Long Beach of San Vicente straddles 14 kilometers of undeveloped shoreline, more than three times longer than Boracay’s White Beach. 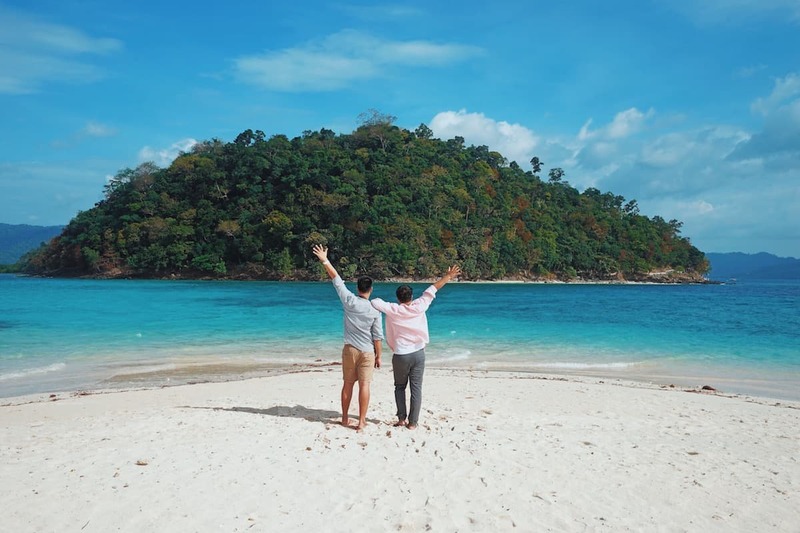 It’s expected to give this quiet town in Palawan a massive boost in tourism, especially now that its airport has been newly inaugurated and travelers are actively looking for alternatives to Boracay. If you want to visit, do it now, before it becomes too popular. Search for more San Vicente Resorts! Are there ATMs or money changers in San Vicente? 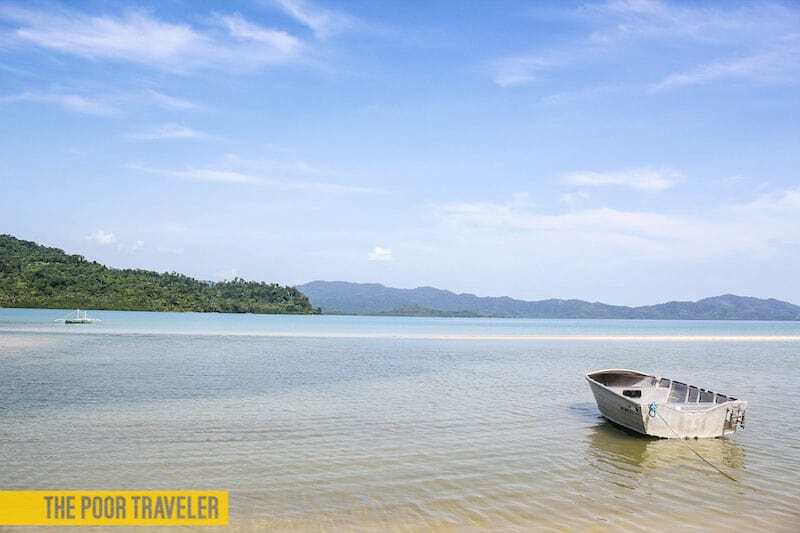 When is the best time to visit San Vicente? Along with Taytay and Roxas, San Vicente is one of the municipalities sandwiched by El Nido and Puerto Princesa City. 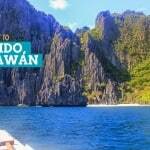 It is often overlooked, with most tourists skipping the town in favor of El Nido. According to the tourism office, in 2012 the municipality of San Vicente (including Brgy. Port Barton) had only 8,500 visitors, half of which were from Europe. That’s a tiny fraction compared to El Nido or Boracay. But that is about to change. The newly constructed airport will pave way to around 100,000 tourists that the government is anticipating next year. There are two major settlements in the municipality: the Poblacion area and Port Barton. The Poblacion area lies on one end of Long Beach, which spans the coast of Barangays New Agutaya, San Isidro, and Alimangoan. If Long Beach is what you’re after, then this guide is for you. The other major settlement is Port Barton, often mistaken as a separate town but is, in fact, just a barangay within San Vicente. The confusion probably stems from the fact that when locals say “San Vicente,” they usually refer to the town proper (near Long Beach). But Port Barton is 3 hours away from the poblacion by land. We’ll be discussing Port Barton in this post a little bit, but if it’s what you want to visit, we have a separate guide for it: Port Barton Travel Guide. Language: Tagalog is spoken by the majority. But English is widely understood and spoken. Currency: Philippine peso (PHP, ₱). PHP100 is around USD1.92, EUR 1.56, SGD2.52 (as of June 2018). Electricity Info: 220V, 60Hz. Socket Type A, mostly. In Poblacion and barangays along Long Beach, electricity supply is now 24/7. But in Port Barton, it’s still limited to between around 5pm until midnight, unless your hotel/inn has their own generator. The range of lodging options isn’t much, but it is expected that bigger resorts will be rising along Long Beach because investors have been scrambling to get a piece of it for the past several years. Again, let me point out that there are two major settlements in San Vicente: one is the Poblacion and nearby barangays (close to Long Beach) and the other is Port Barton. They are 3 hours apart, so make sure you book a resort in the right location! If you want to visit Long Beach, check the address for words like Poblacion, New Agutaya, San Isidro, and Alimangoan (Alimanguan). Sunset Beach Resort, Macatumbalen. Check Rates & Availability! Victoria Beach House, Alimanguan. Check Rates & Availability. Jurisu Resort, New Agutaya. Check Rates & Availability. Picardal Lodge, Poblacion. Check Rates & Availability! Philippine Airlines (PAL Express). Clark to San Vicente. Operational since October 2018. Travel time is 1 hour 40 minutes. Skyjet Airlines. Manila to San Vicente. Starting July 2019. Travel time: 1 hour. Royal Air. Clark to San Vicente. Soon. The San Vicente Airport is very close to the poblacion or Long Beach. You can easily ride a tricycle to your hotel. Tricycle fare is P60-P75 per person. But if you want to charter the entire trike, you can do so for around P250. Fare can be higher if your hotel is on the far end of Long Beach. Just tell the tricycle driver what your hotel is and they can drive you straight to it. Another way to reach San Vicente is via Puerto Princesa International Airport, which is located 5 hours away. As a major tourist destination, the city is served by all major local airlines. 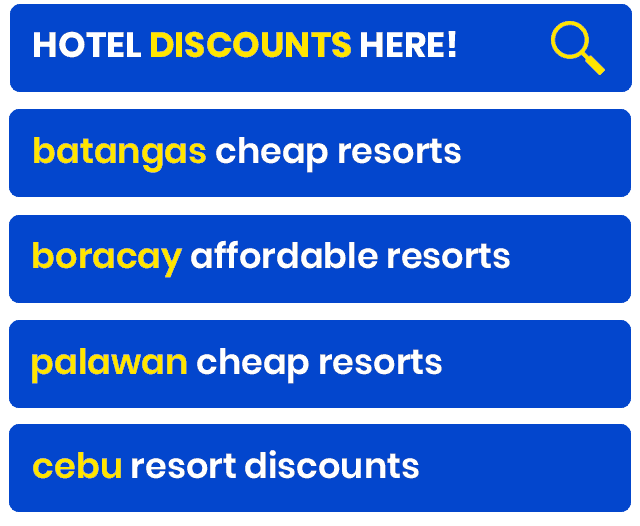 But the cheapest flights are operated by AirAsia, which flies from Manila, Cebu, Clark, and Davao. Years ago, getting from Puerto Princesa to San Vicente can take as long as 5 hours on a mostly rough road cutting across the forest. It would get even more difficult in the rainy season because the dirt road turned into chocolate marshmallows. True story. Haha. The roads are better now. To take the bus, you need to get to San Jose Terminal first. At the airport, walk to the gate of the airport, where the tricycles are stationed. Hire a driver and ask to be taken to San Jose Terminal. Fare is P120 per ride. Split the cost if you’re a group. Alternatively, you can take a trike+jeepney combo, which is cheaper. But since I’m guessing you have heavy bags in tow, just go straight to the San Jose Terminal. At San Jose Terminal, board the bus bound for San Vicente. There are two trips daily: one set to leave the terminal at 6am and the other at 1pm. Make sure you board the right bus. Don’t ride the bus going to Port Barton!!! The faster option! The van can take you to San Vicente in only 4 hours. Multiple vans ply this route from 4am until 5pm. Fare: P300. If you’re coming from El Nido, there are vans that can take you to San Vicente directly. However, the number of vans available in a day is very limited, so make sure you catch one on schedule. There’s a van leaving El Nido at 8:00 am and 6:00 pm. The easiest way to reach San Vicente town proper from Port Barton is by boat. There used to be a boat called Magdalena that ferries passengers to the poblacion from Port Barton at 9am for only P150. However, it is no longer operational. You may also travel by land. Unfortunately, I haven’t tried it yet so I have absolutely no clue. 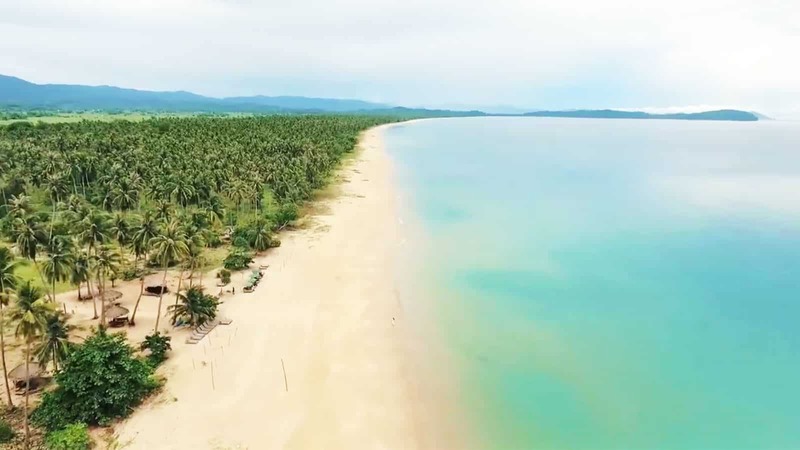 The main attraction in this side of San Vicente is Long Beach, a 14.7-km stretch of sand that is touted by local tourism officials as the “longest white beach in the Philippines.” But to manage your expectations, the truth is, it is not that white, more like beige or light brown. It is also not one looooong beach, more like a series of six strips, interrupted by rocky cliffs that jut out into the sea, breaking what could have been a continuous expanse of supple paradise. It’s best explored by motorcycle (habal-habal), which can accommodate up to two passengers at once (plus the driver). From Poblacion, the fares vary depending on which part of the beach you want to visit: from P25 (New Agutaya) to P100 (Alimanguan). 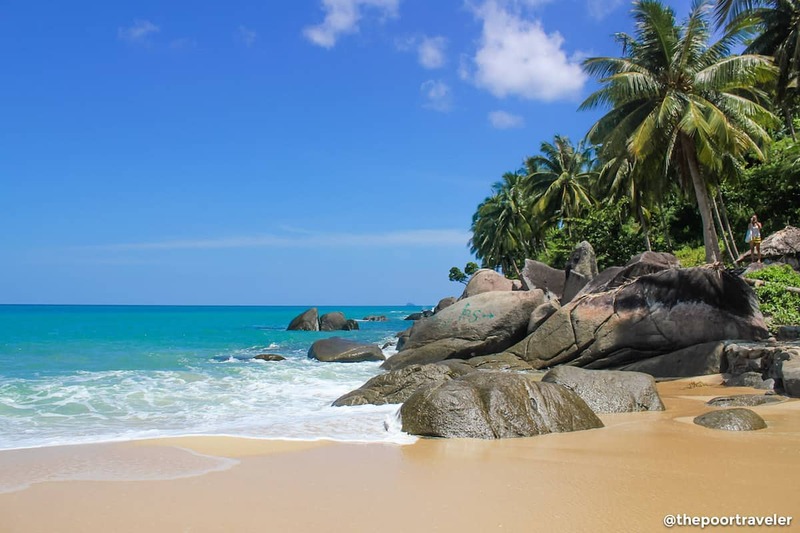 You can also arrange a motorcycle tour and go beach hopping for half a day! The rates are P350 if you’re alone or P250/person if you’re a party of two. This is my favorite beach in San Vicente. It’s located in Barangay Sto. Nino, much farther from Long Beach. The sand here isn’t flat and compact. The waves and the winds mold it constantly to create soft but rugged dunes that roll inland smoothly. A small hill stands on its northern end, and at its foot snakes a small, stagnant estuary where the tides overflow to. One of the spots you wouldn’t want to miss is Bato ni Ningning, said to be one of the filming locations of the television series Ningning. This offers a great view of the beach, adorned by palm trees in the foreground. To get to Bato ni Ningning or Erawan Beach, you can charter a habal-habal for P200 if you’re solo or P300 per person if you’re a group of two. This is already roundtrip so the driver will wait for you and take you back. If you join a group tour, you will get to visit 4-5 islands in one day for only P1200 per person. Tour starts at 9am and ends at 4pm. Travel time is 45 minutes to 1 hour, except Velasco island, which takes 1 hour and 15 minutes. Each boat is good for 3 passengers. P500 per additional person. You’re a party of 2, splitting some expenses. You’re staying at a resort along Long Beach or in Poblacion. You’re flying in via San Vicente Airport. Have lunch before your flight. The itinerary above will set you back around P2500 (USD 48, SGD 64) per person excluding airfare and hotel accommodations but including a little allowance. Bring insect repellent lotion. Some parts of the beach have sandflies, which can be really nasty. I have friends who unfortunately had to deal with sandfly bites. They’re not pretty. Watch out for mosquitoes too! Bring your own reusable water bottle, so you don’t need to buy bottled water over and over again. Just have the bottle refilled at your hotel or at your lunch/dinner stops. Not only will you save money, you also get to reduce waste. If you choose to stay in Port Barton, know that electricity is available only from 5:30pm to 12 midnight. If you plan on taking work with you and you need power, choose a hotel with generator. Bring power banks (mobile batteries) for your phone! If you’re staying in Poblacion or Long Beach the entire time, no need to worry about power interruptions. Puerto Princesa Airport collects a P200 terminal fee. Make sure you don’t spend every single peso you have before your flight out. 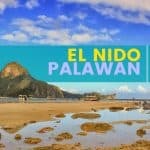 Palawan in general has a very low crime rate. But common safety practices should be observed. Don’t leave your belongings just anywhere and make sure you lock your room doors especially if you’re leaving. There are also no hospitals here, only a small clinic, so please be very careful. The nearest major medical center is in Roxas but there is a rural health unit in San Vicente, with 2 doctors. Terrorism is unheard of in San Vicente. There are no banks or ATMs in San Vicente, so make sure you’re stuffed with pesos before you arrive. 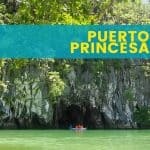 Withdraw or exchange while you’re in Puerto Princesa or Manila. December to April. These months are the driest and sunniest. 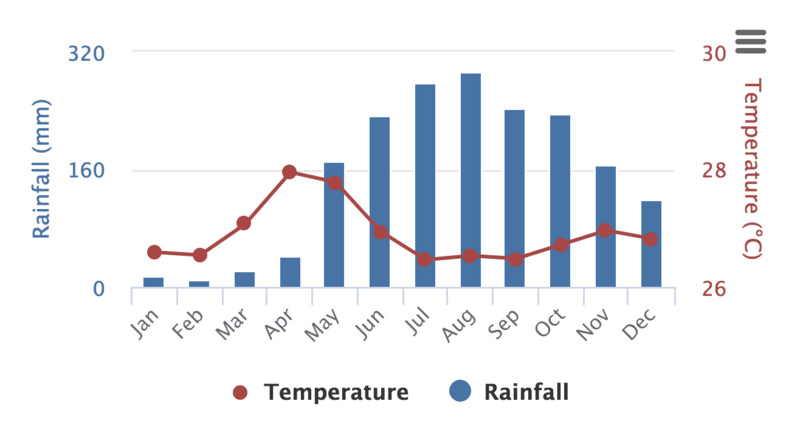 Thanks to its location and isolation, mainland Palawan isn’t hit by typhoons as often as the other parts of the Philippines, but the rest of the year still catches a lot of rain especially in August and September. San Vicente is not popular among domestic tourists, who mostly flock in El Nido and Puerto Princesa. The majority of visitors comes from other countries, mostly Europe. Hence, peak season here is from December to February, when foreign tourists from the north go on tropical vacation to escape the winter cold. SEOUL or BANGKOK? Choose Your Next Asian Adventure! thanks for the information. can you direct us to information about the clark to san vicente flights? Hi Stephen. It was just announced to us by PAL at one of the events they hosted last month. Not sure if they have press releases out about it yet. HAve you heard of any group tours for island hopping, that one can join, when in San Vicente? Thanks! Hi Nins, in San Vicente town proper wala pa kaming alam. Sa Port Barton though may nakita kami, pero di namin nakuha contact details. Avoid the tourist office or ask a bill or take some pictures of what you pay. Even I advise you to take some photos of the people with whom you are in contact and even to make a copy to prove it if there is a problem. Avoid Boayan Island Tours. Hello. We are planning to land at San Vicente airport, but our destination is El Nido. Can you give us some tips what to ride going to El Nido? Hi Leo, we can’t pa sa ngayon kasi we haven’t tried the new airport pa. Same, We’re not sure kung may van transfer or transportation going to El Nido. 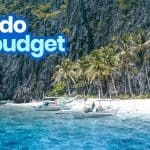 Has anyone found out what transport options are from San Vicente Airport to El Nido and vice versa? Thinking of booking a flight from SV to Clark beginning of February but any info on scheduled (not private) transportation is hard to find. What is a normal drive time by van from EN to SV Poblacion? Any scheduled vans operating this? Van transportation is available from El Nido to Port Barton. It costs around 500 to 700. Hi. Has anyone been to San Vicente via a flight from Clark? Flying in January. Booked for three nights at Club Agutaya. However, when we land in San Vic airport, our plan is to head straight to Port Barton for 3 days before going to Club Agutaya in Long Beach. Is there anyone who can give us some tips on the easiest way to go to Port Barton from San Vicente airport? Thank you! Thanks for a great blog. The boat “Magdalena” does not run any longer from December 2018. Hi Klavs, thanks for sharing this. We’ll add this to the post above! We are disapointed by the attitude of the personal of San Vicente`s tourist office> We went there 3 days ago to have a ship to Boayan Island. They told us that the price was 5000 pesos to go and come back. We only wanted it and not only to go from one beach to another to swim. Instead of listening to us they called Boayan island Tours and a representant of this agency called Albin came. We gave him 5000 pesos. But they wanted to make a tour and not what we asked. We insisted to stay in an island. But when we came back we had to pay 2500 additional pesos because Boyan Island Tours never sent the first ship. Once arrived in San Vicente we went to the tourist office to be paid back. They called Albin, the representant of Boyan Island Tours and he behaved as if he did not remember how much we paid him and refused to paid back and the tourisn office did not do anything. Be careful with them. They stole us 25000 pesos for nothing. Thanks for sharing your experience, Laurent. Hi Astrid, how did the trip go? On the group tour, how many people were sharing the boat? Skyjet Airlines now has flights to San Vicente. I booked round trip for two in November for a little over P5,000. I hope you can post about the tours with corresponding costs. Nice blog! Hi! Whom can I contact for the island hopping tours? Dun lang po kami naghanap. Hi. 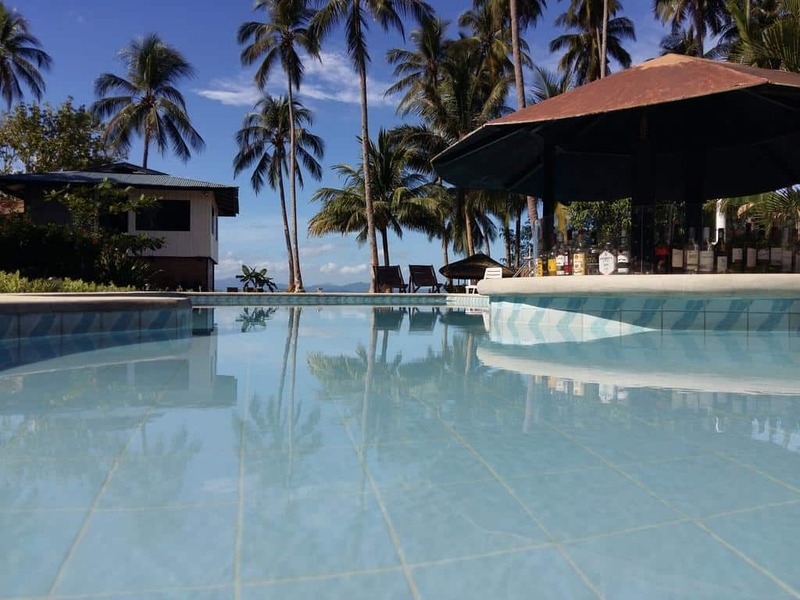 We are looking at places to stay in san vicente like Club agutaya. In case we wanted to stay here, are there group tours available offered immediately outside the resort apart from what the resort offers. Tour prices offered in the said resort seems higher. Hi Mars, we haven’t been to Club Agutaya, but you can easily find tours outside the resort. You can approach a tricycle driver for tours. They usually know boatmen for island hopping too.